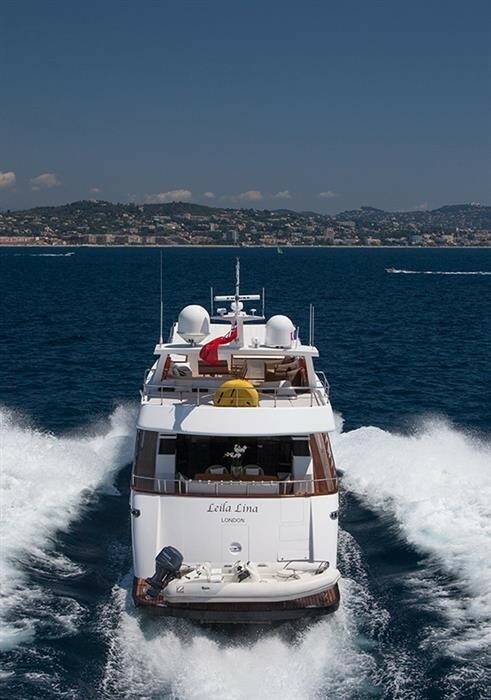 Luxury charter yacht LEILA LINA (ex Isabel is a Cantieri di Pisa 26m modern motor yacht which is available for charter on the Cote D’Azur and throughout the Western Mediterranean. 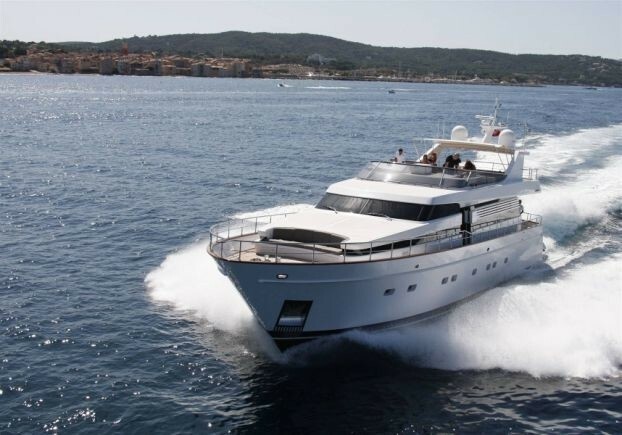 She is the ideal charter yacht for small groups of families and combines impressive cruising performance with style and comfort. 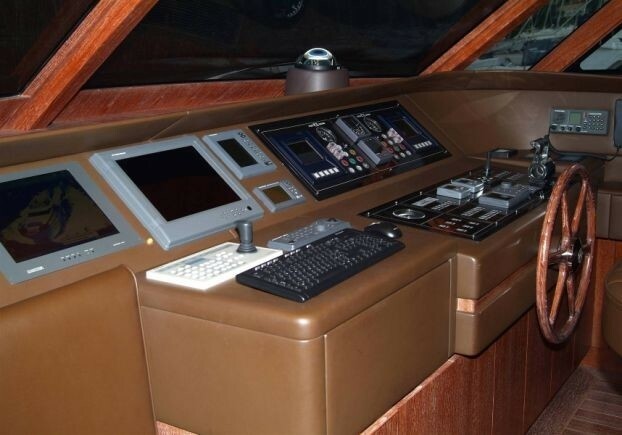 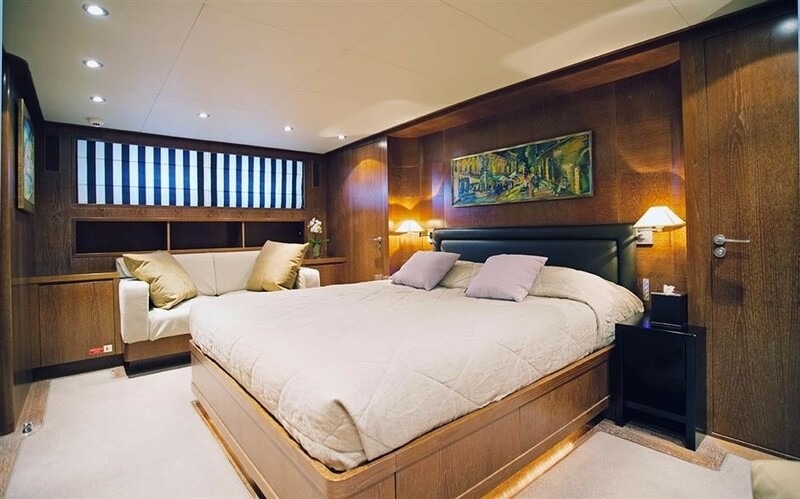 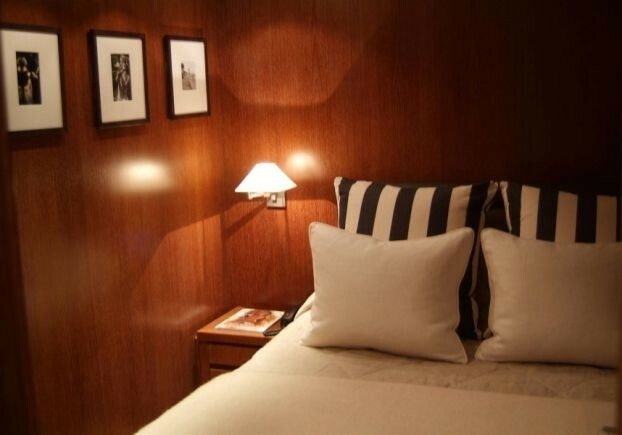 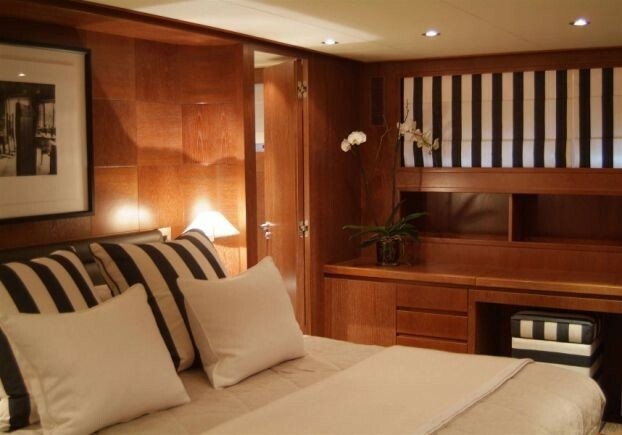 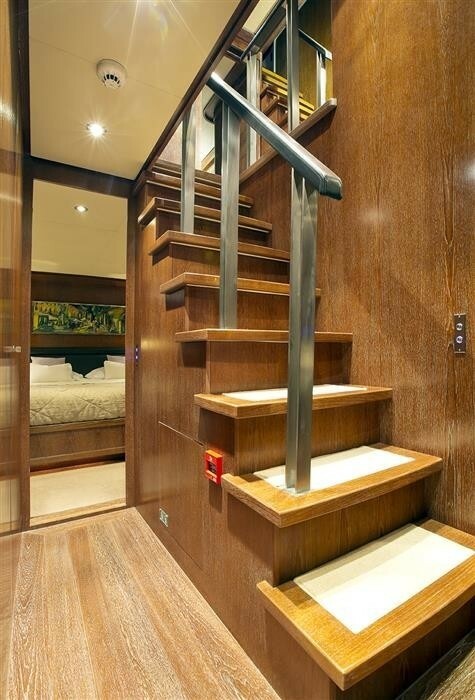 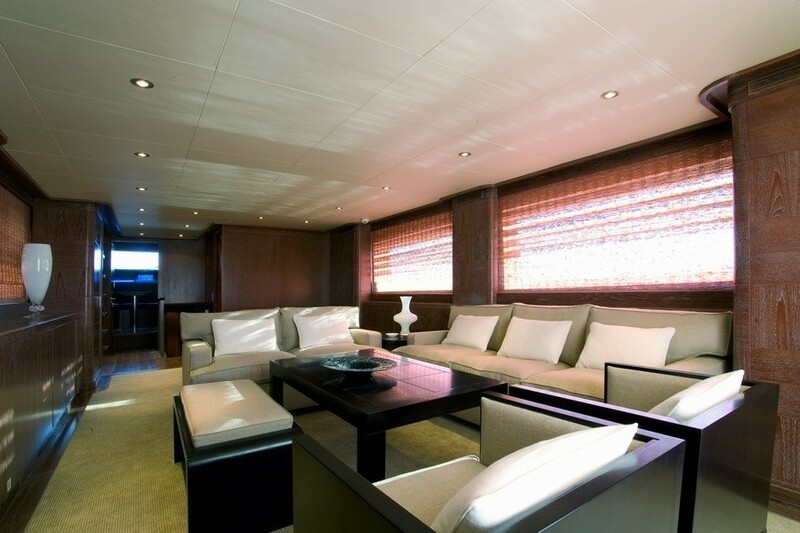 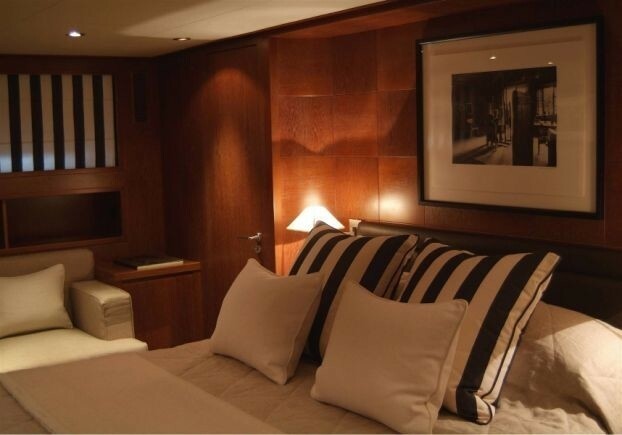 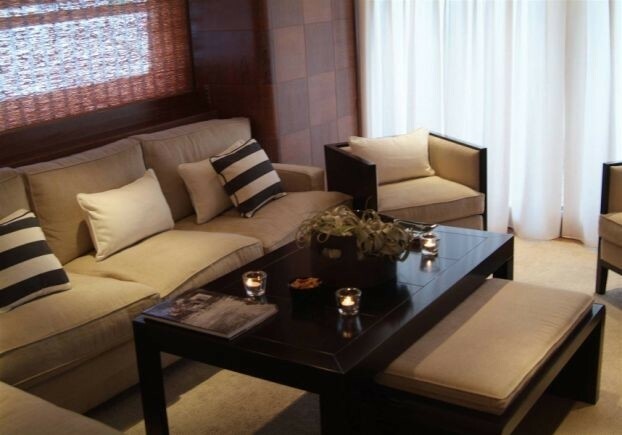 Motor Yacht LEILA LINA has a comfortable and restful interior design also by Cantieri di Pisa. 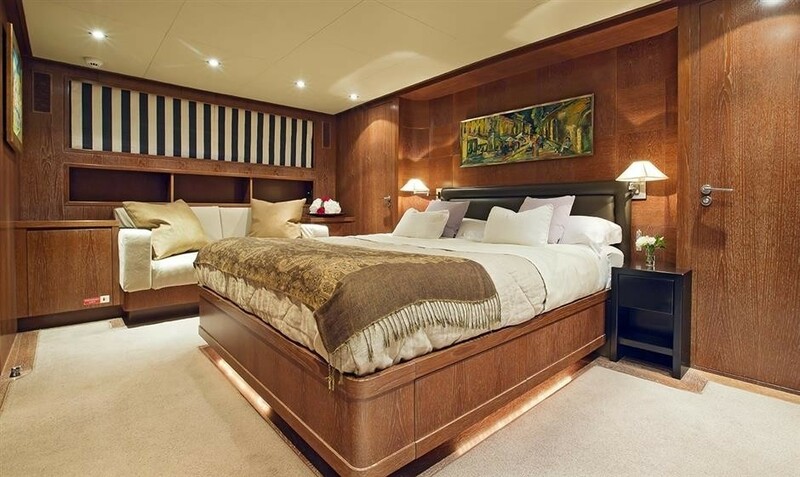 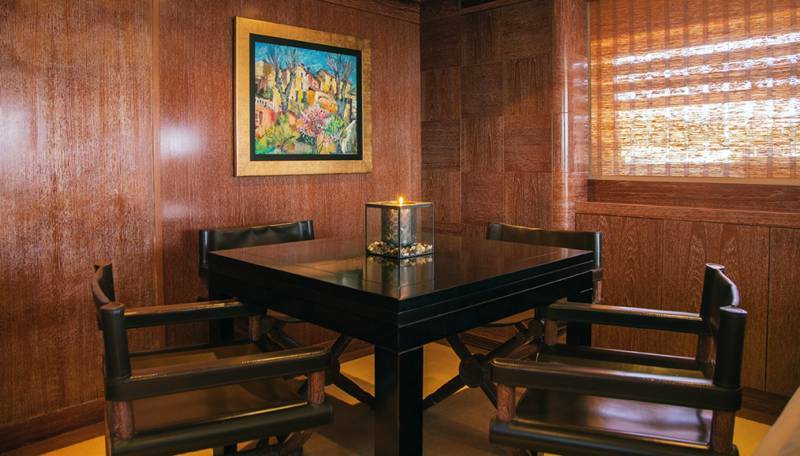 With dark, rich wood, earthy colours and high quality teak, carpet and leather throughout, her interior is a soothing haven from the light and action outside. 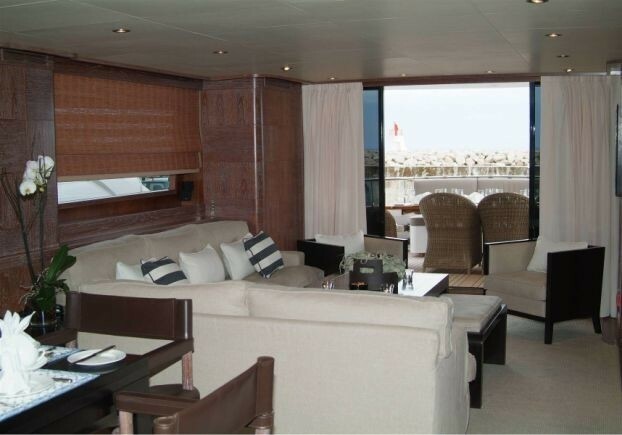 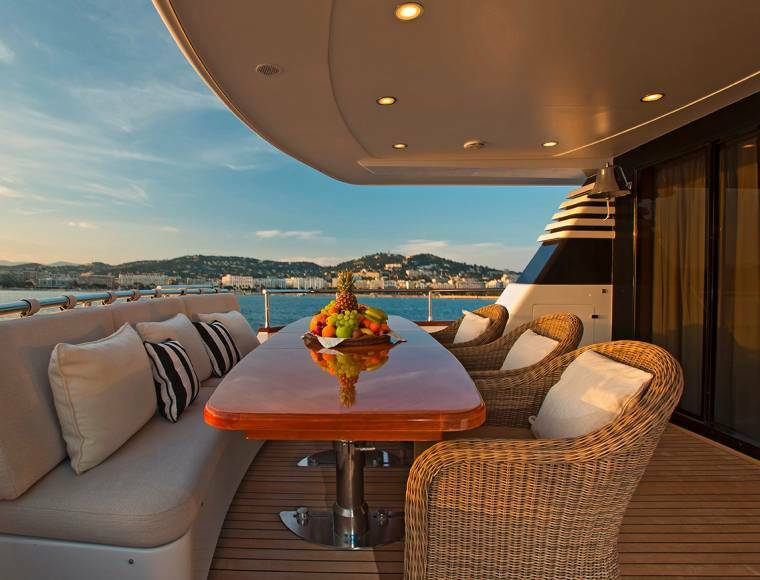 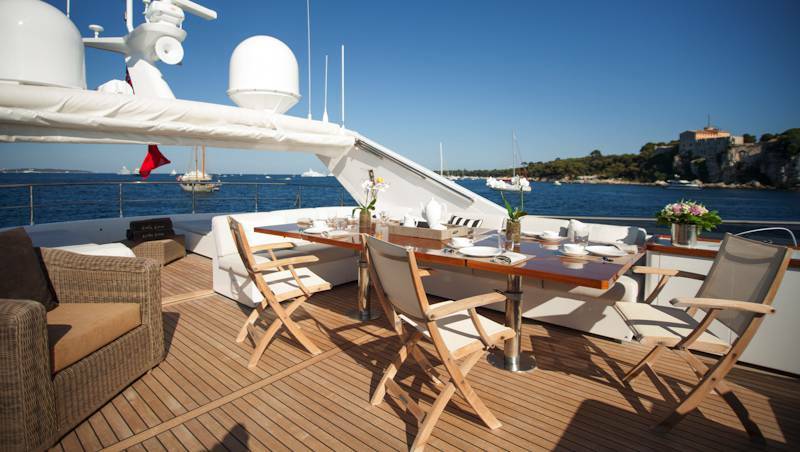 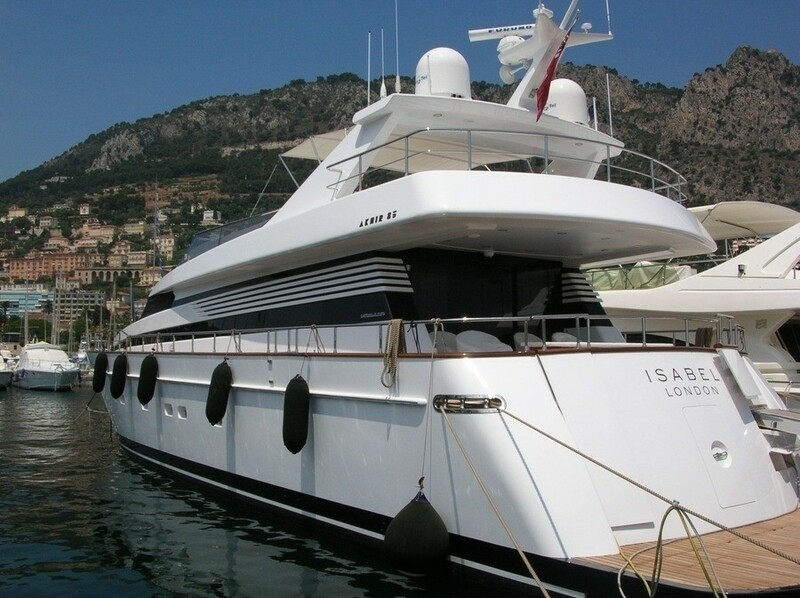 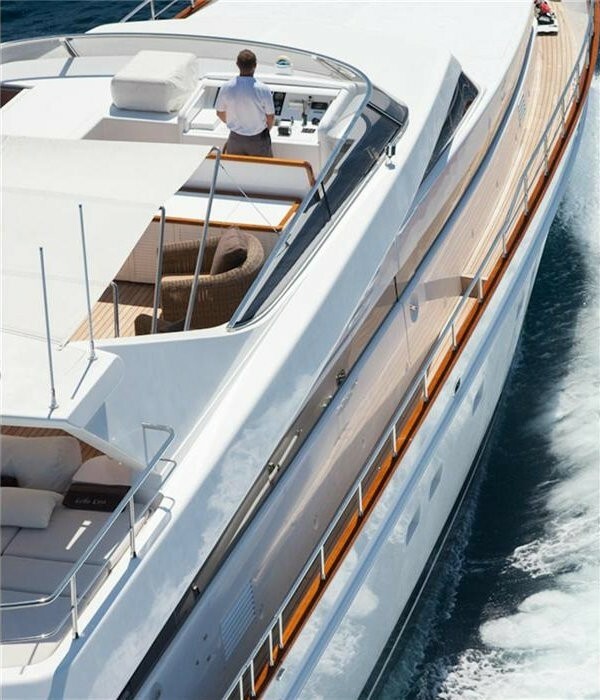 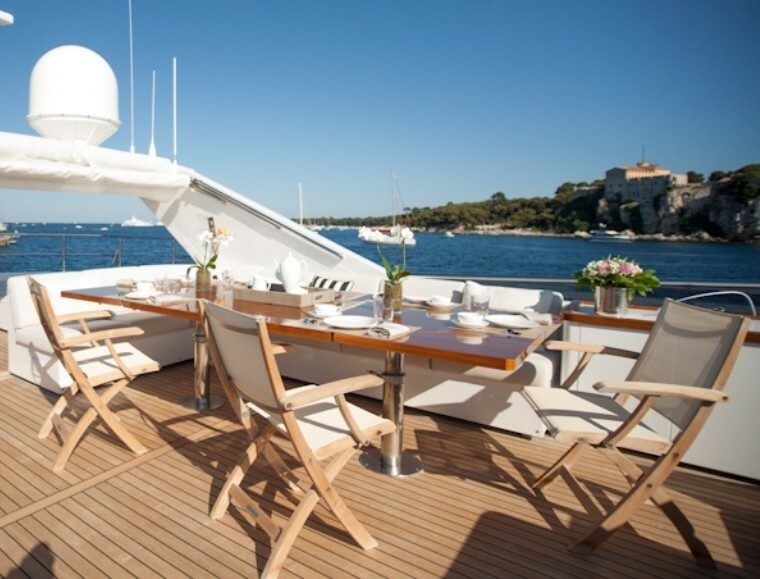 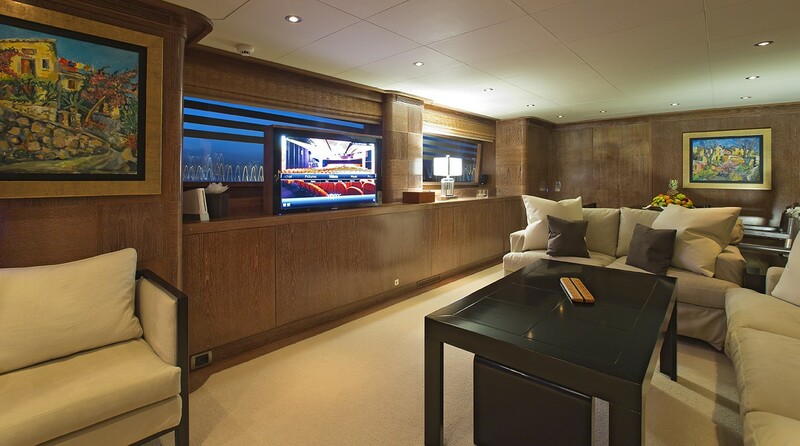 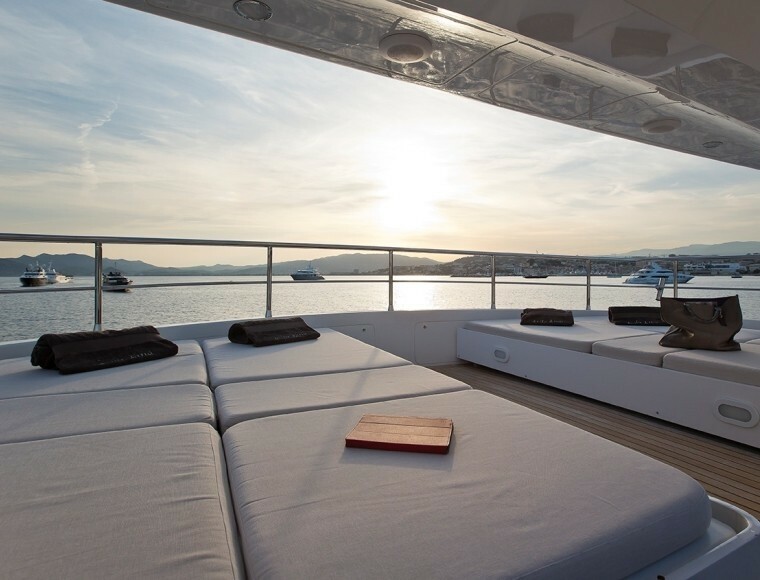 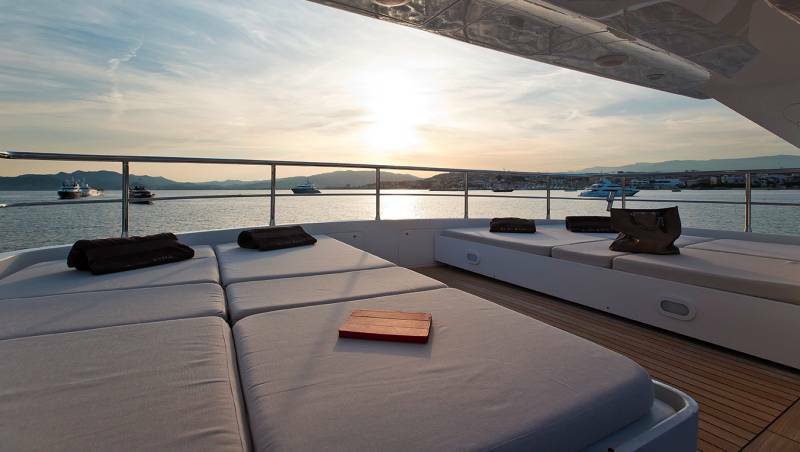 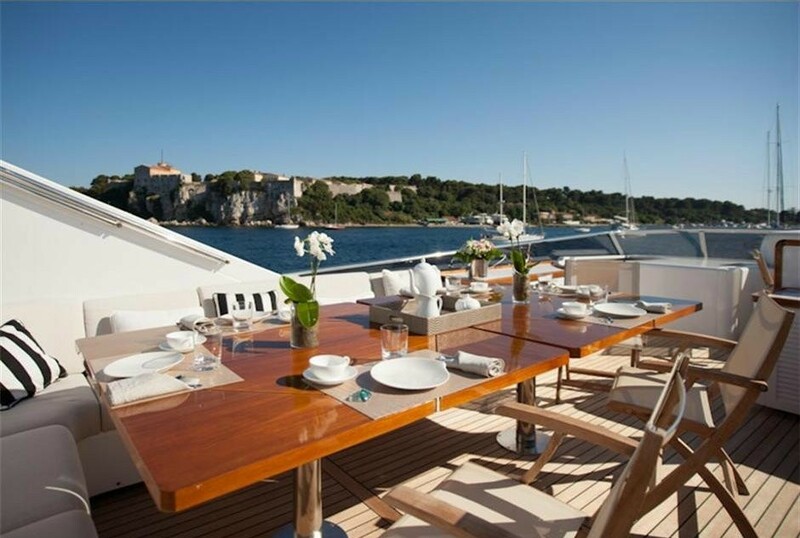 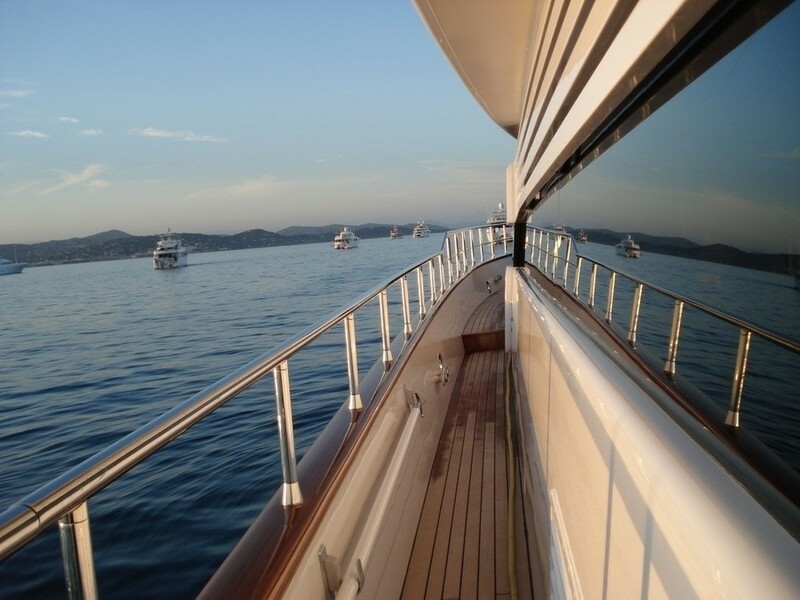 At 26m, motor yacht ISABEL has exceptional deck space and plenty of functional areas for relaxing and entertaining. 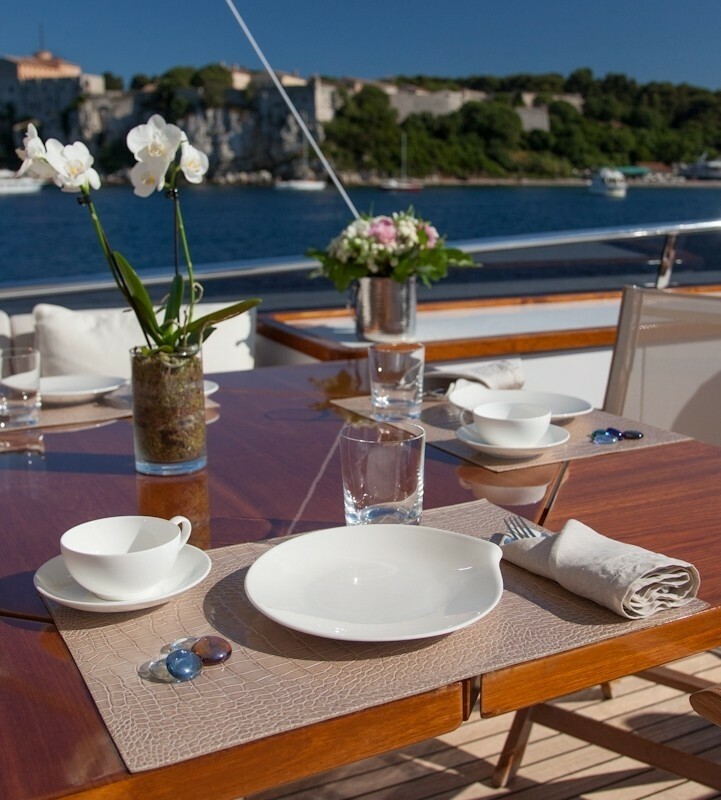 Alfresco dining can be enjoyed on her main aft deck with additional seating and sunning areas available on her spacious flybridge. 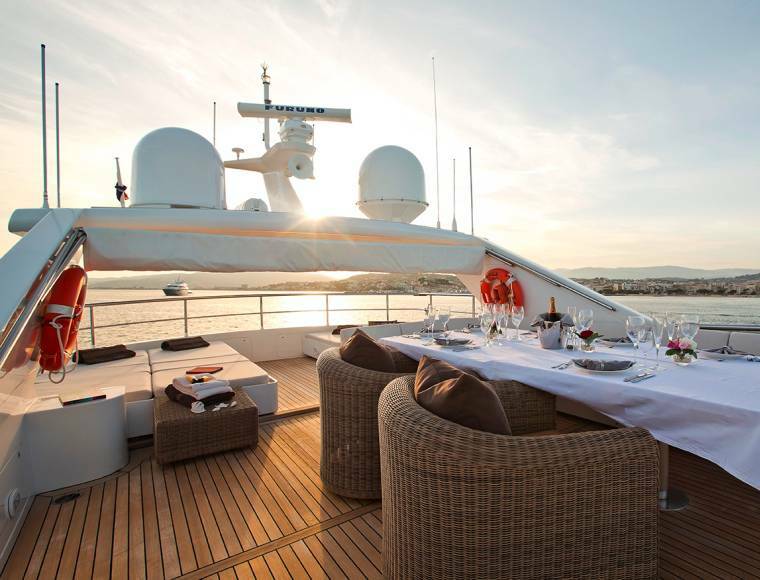 Where better to enjoy a sunset cocktail? 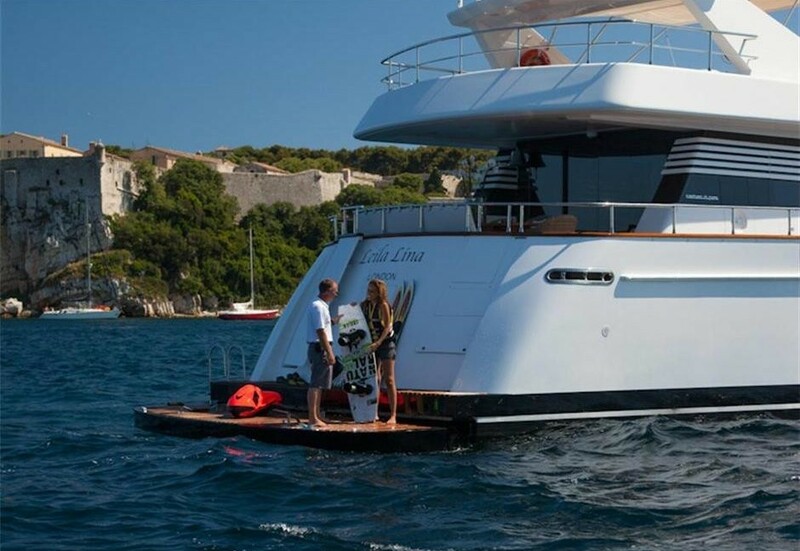 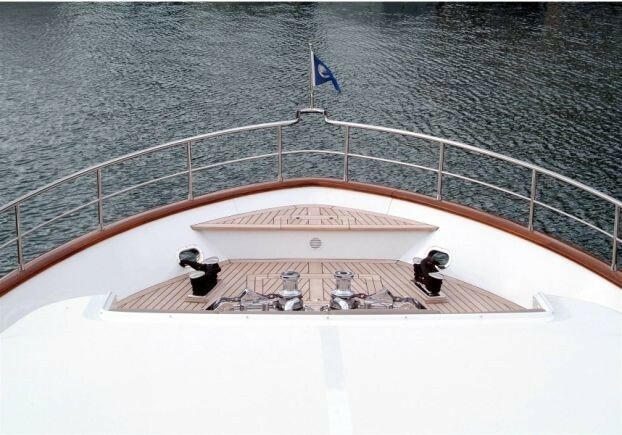 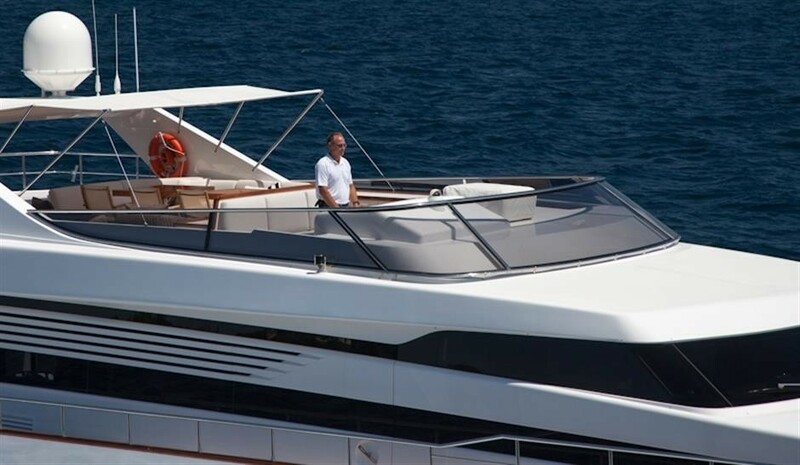 One of LEILA LINA's most surprising features is zero-speed stabilizers which are very rare on a yacht of this size. 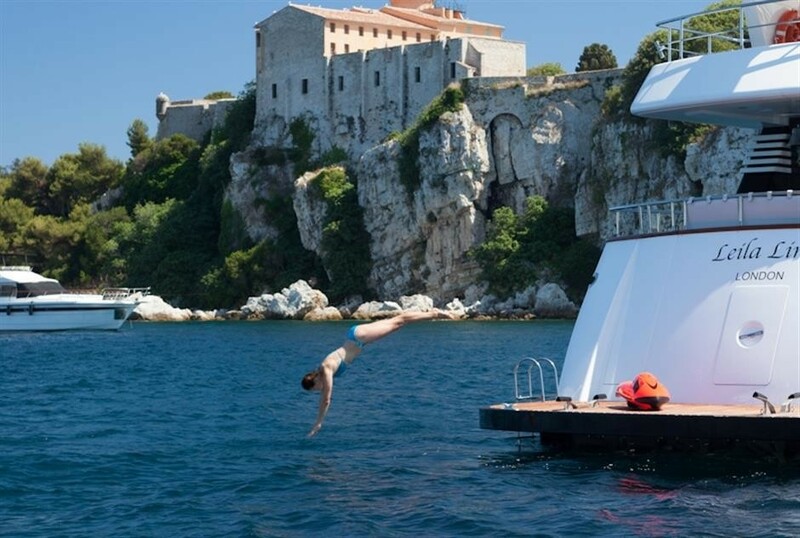 She also boasts a new hydraulic swimming platform which lowers beneath the water’s surface making swimming very safe and comfortable for all ages. 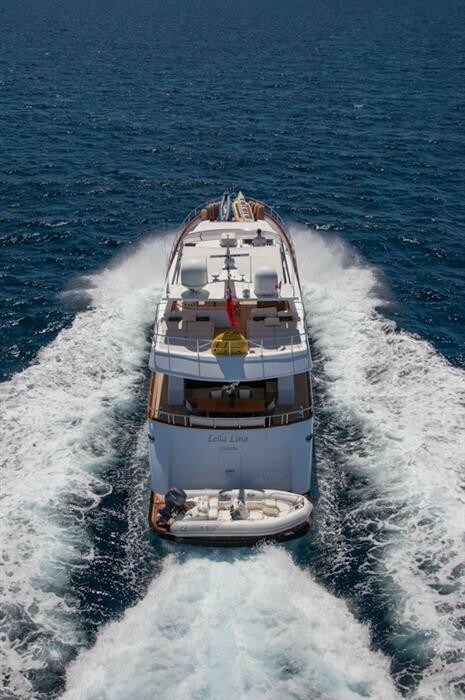 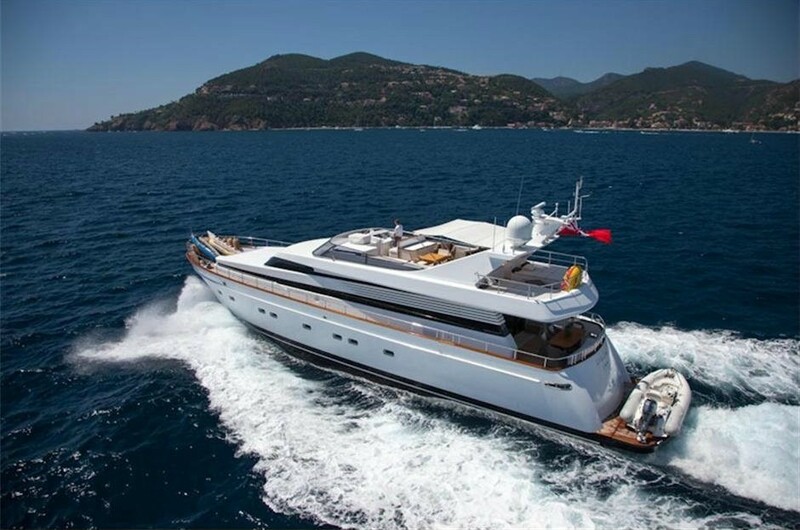 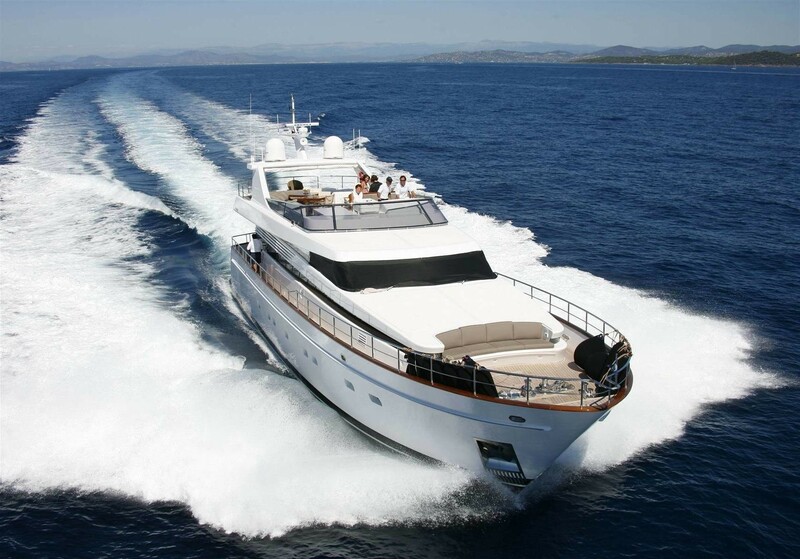 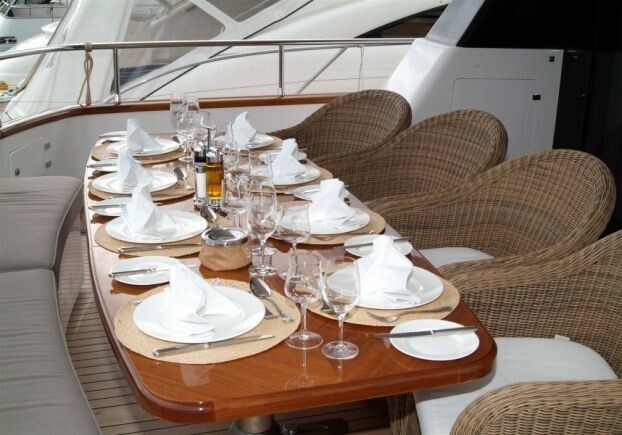 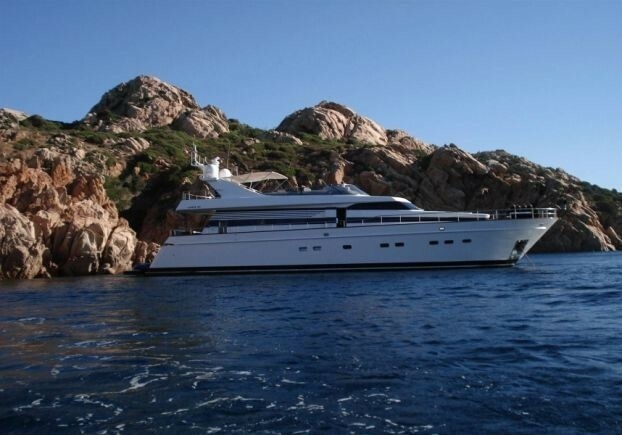 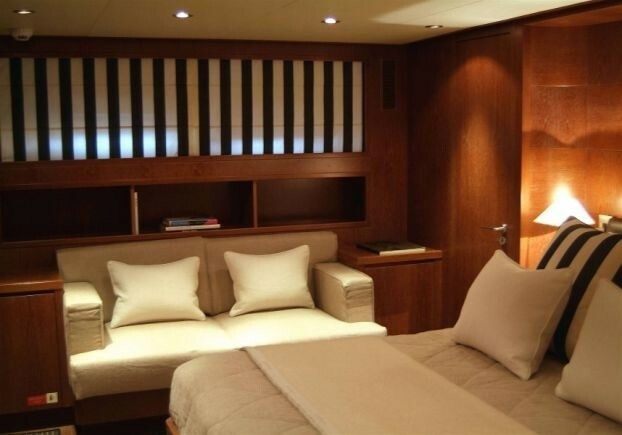 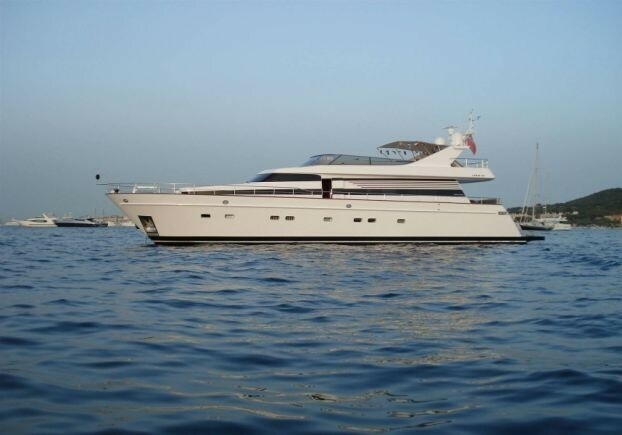 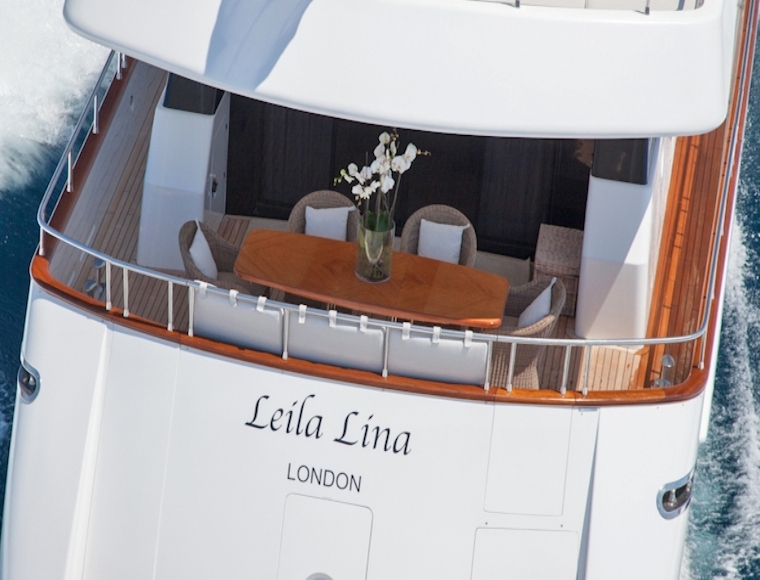 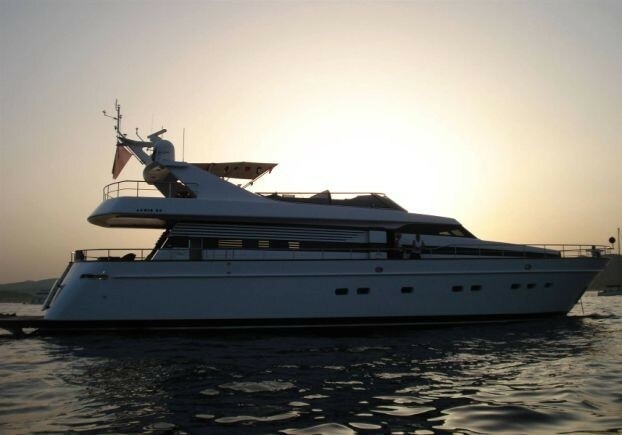 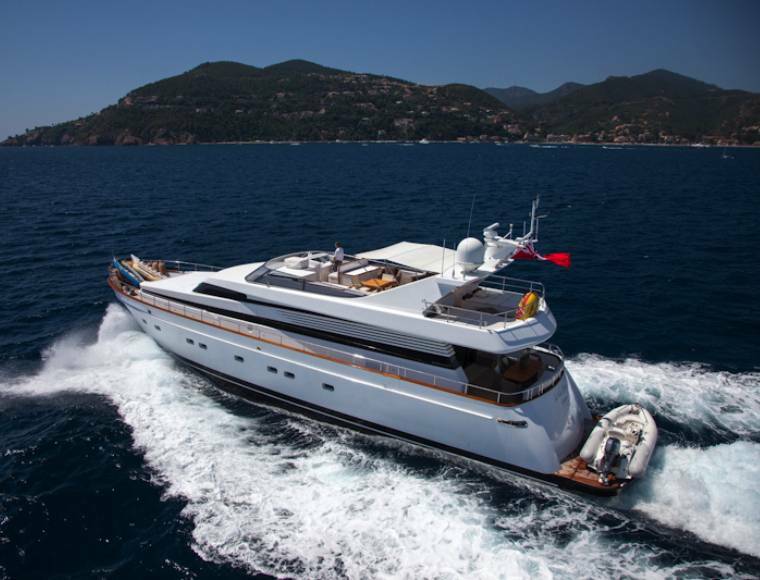 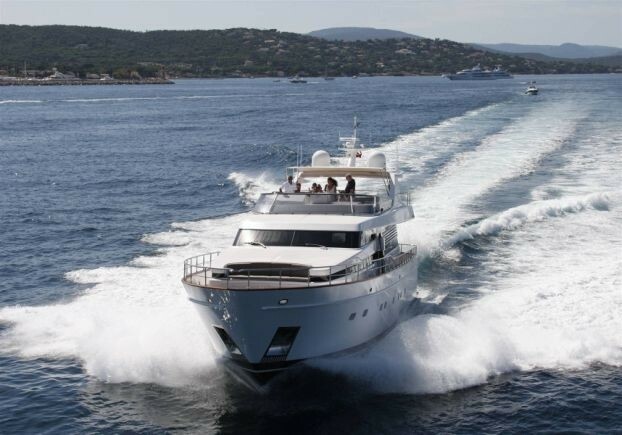 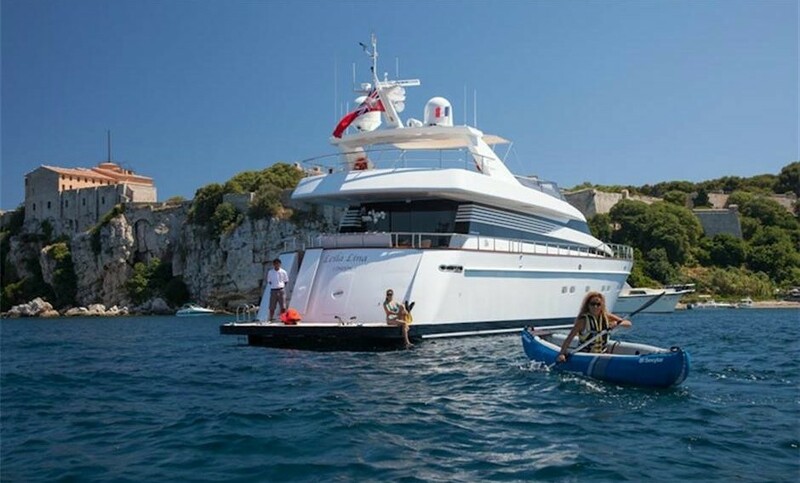 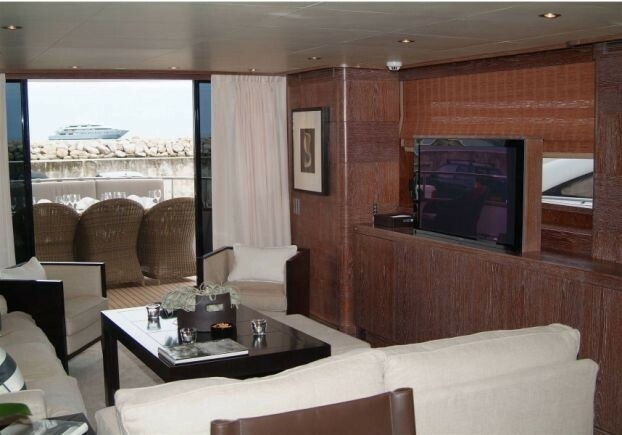 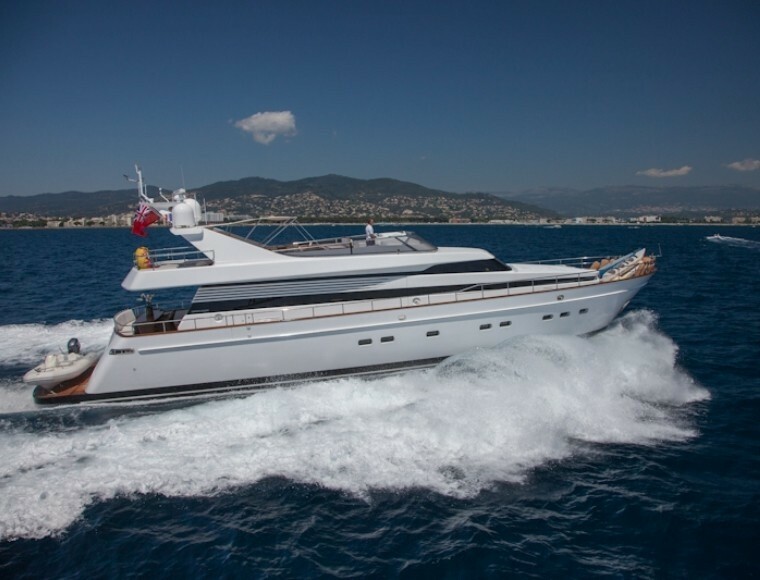 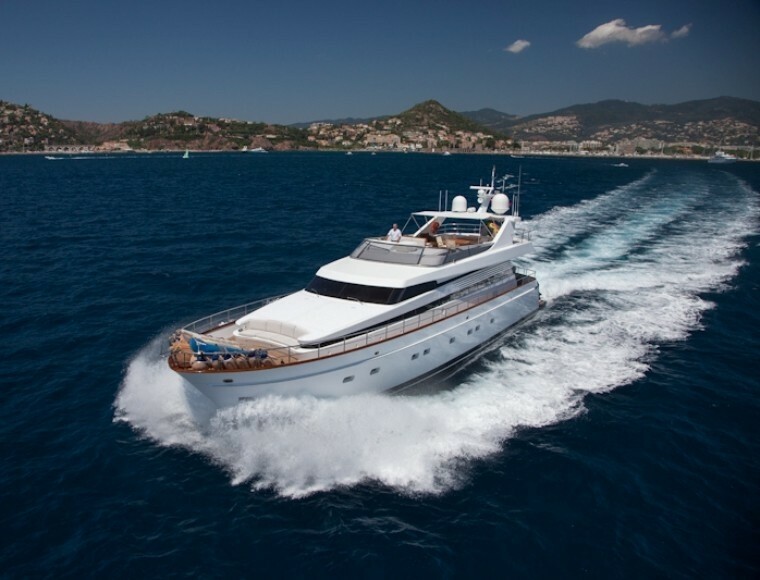 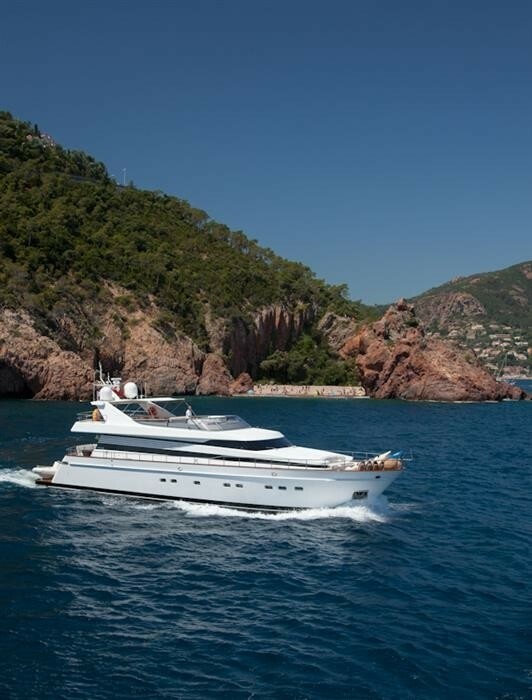 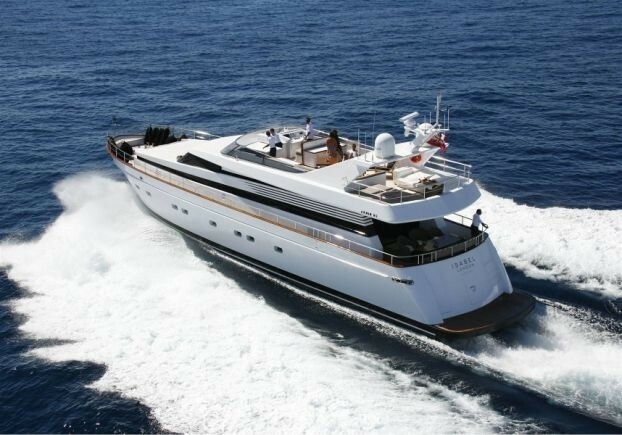 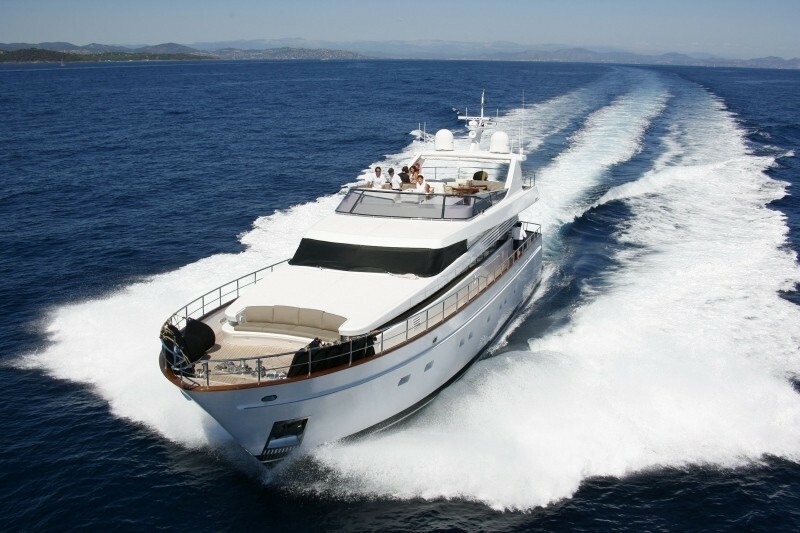 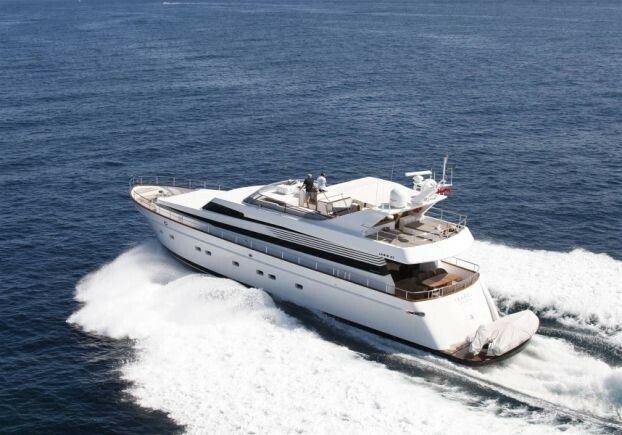 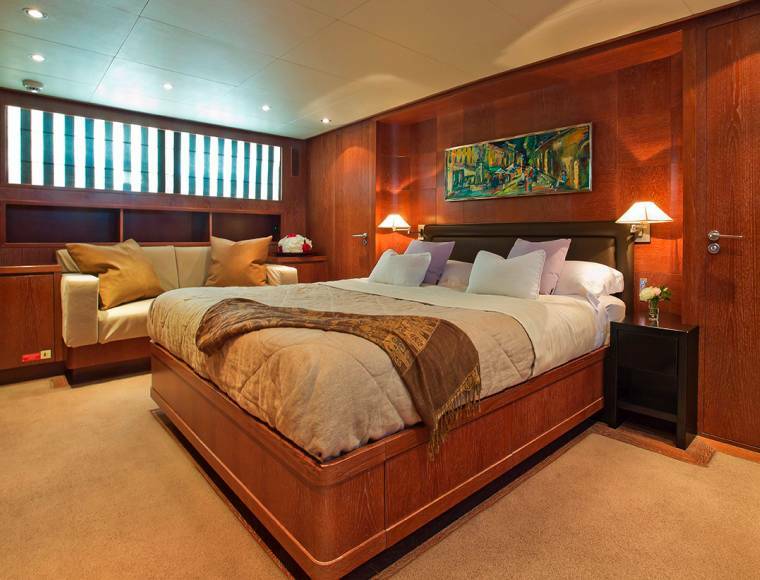 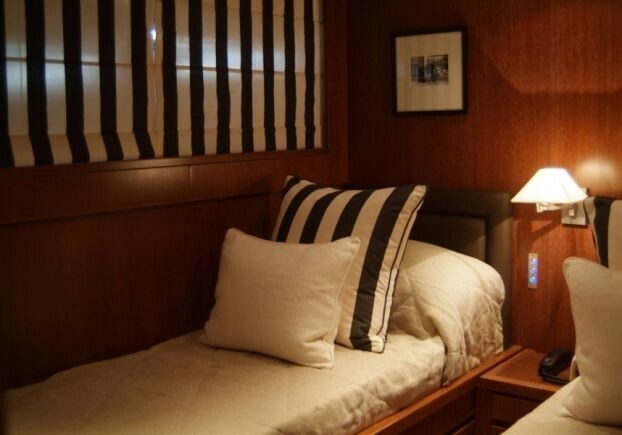 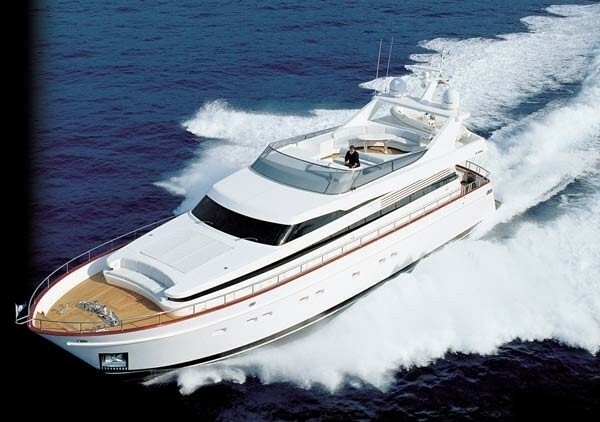 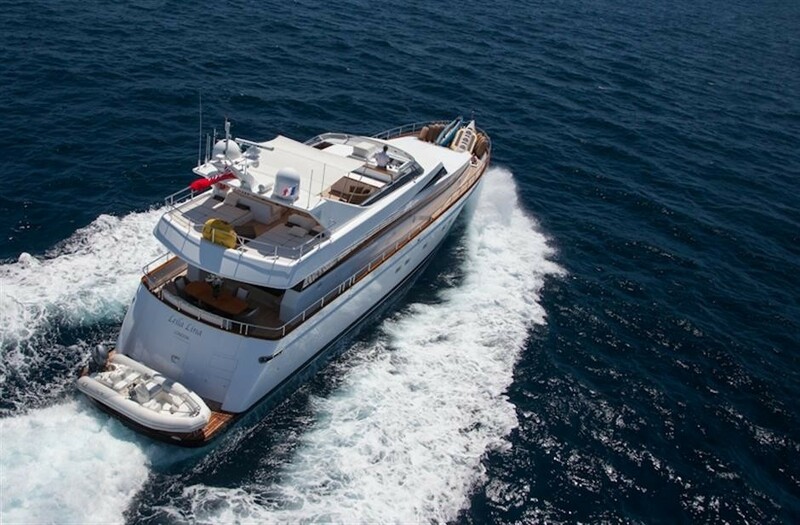 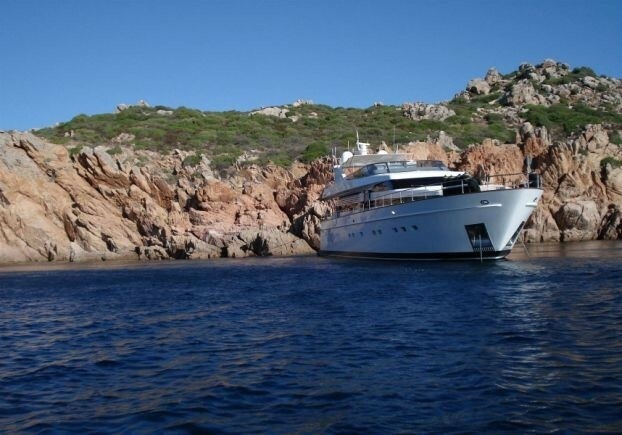 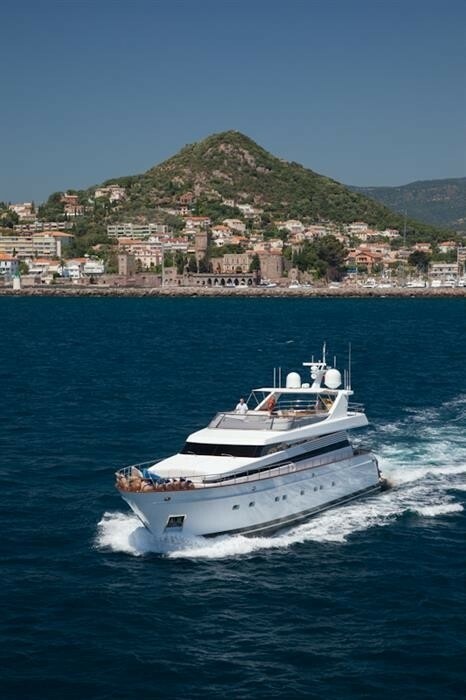 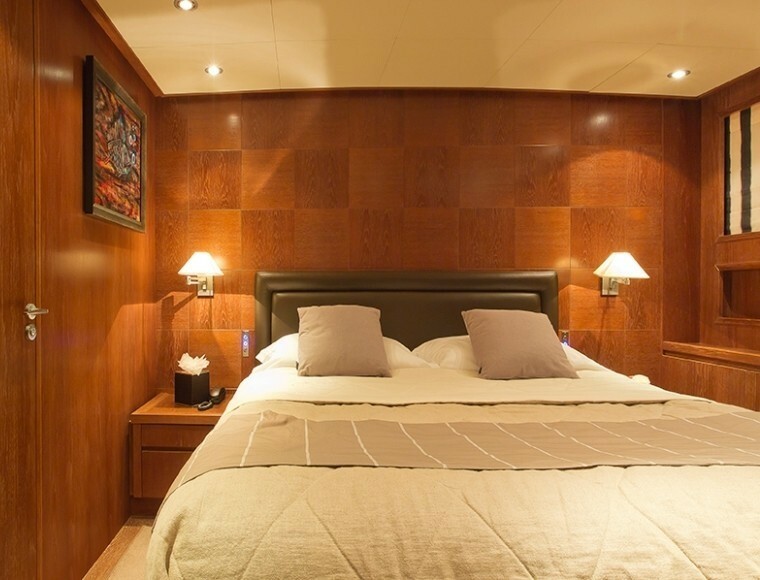 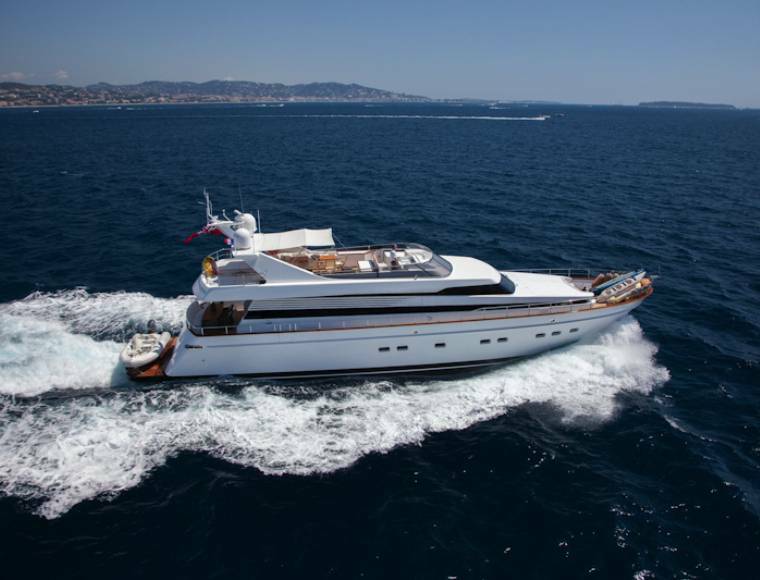 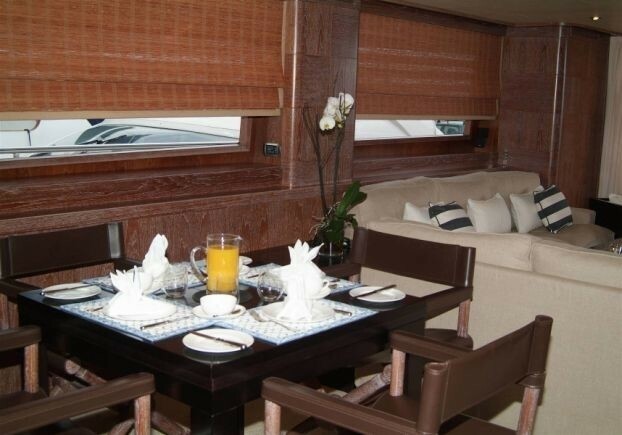 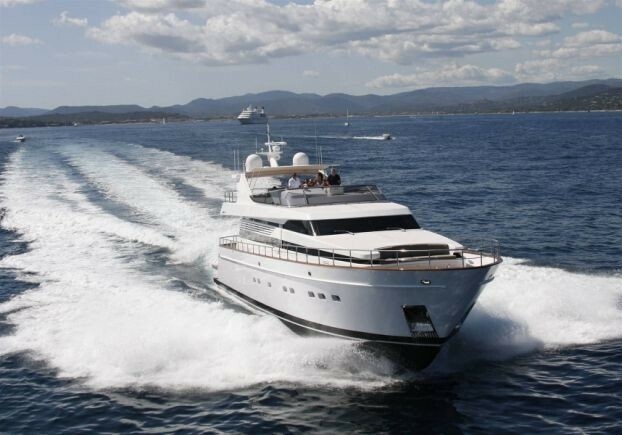 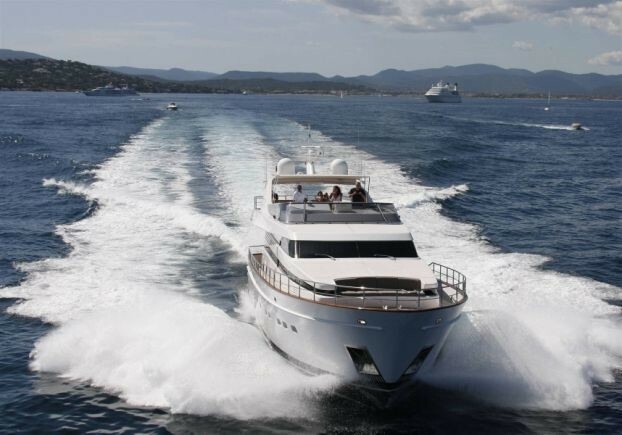 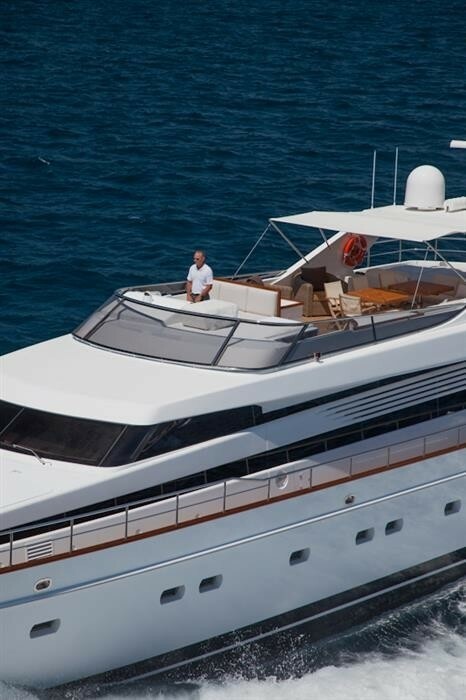 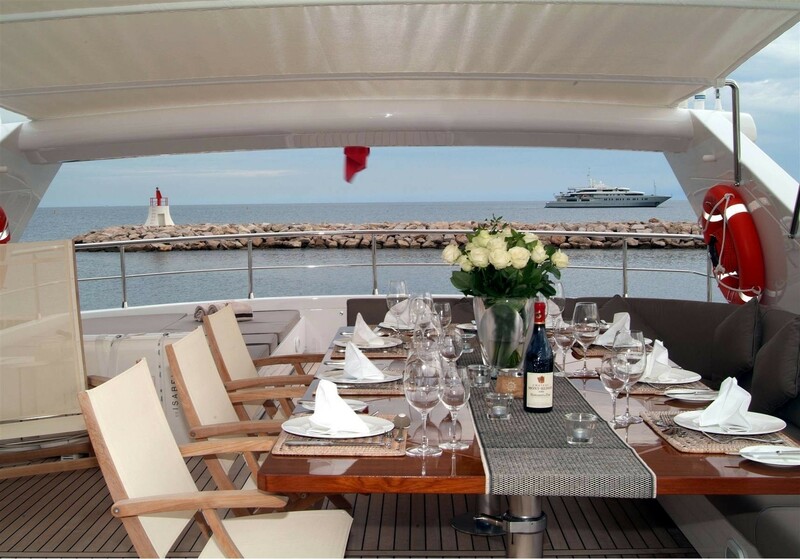 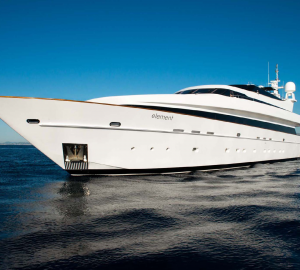 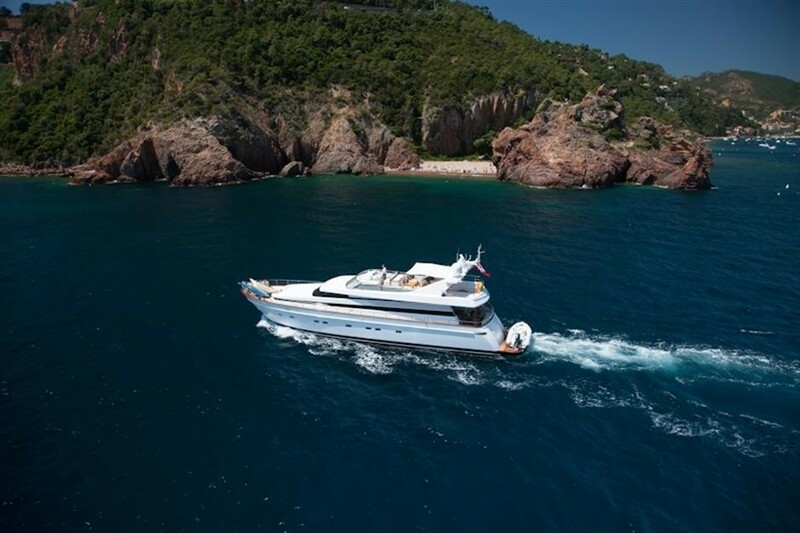 Motor Yacht LEILA LINA is the ideal family boat offering comfortable accommodation for 8 guests. 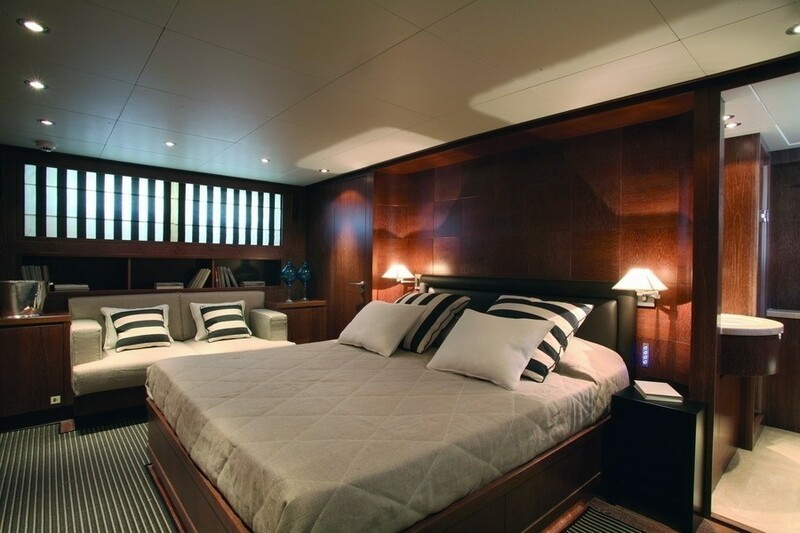 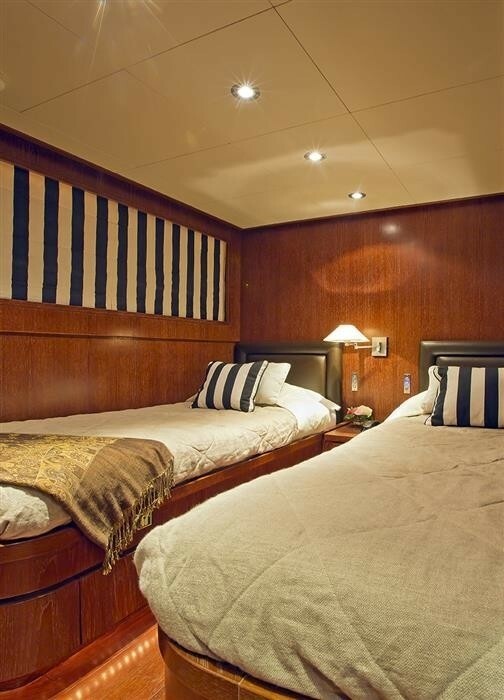 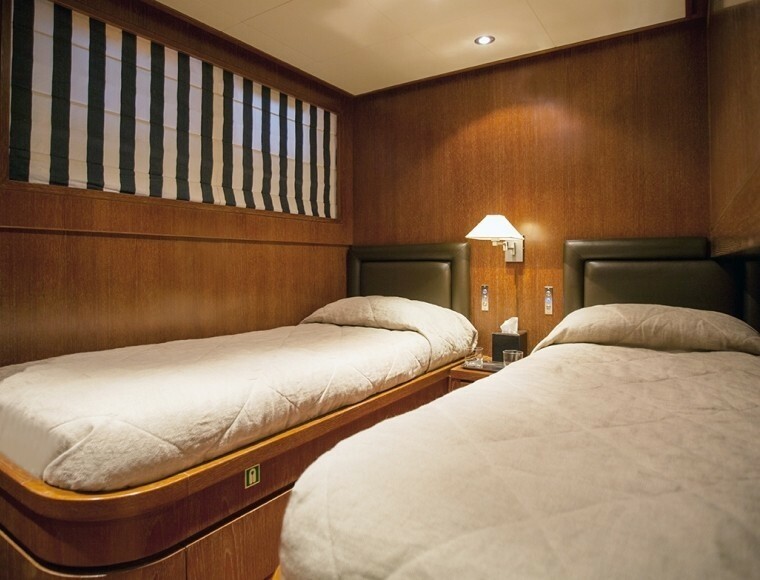 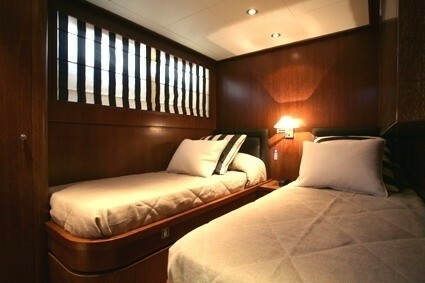 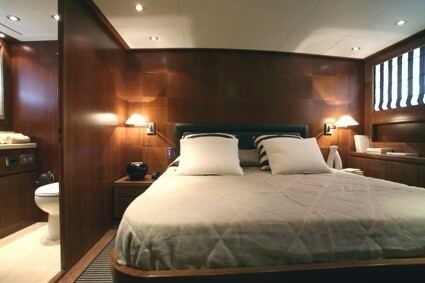 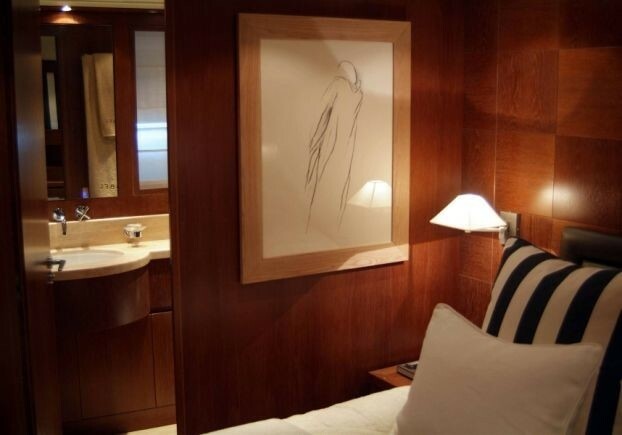 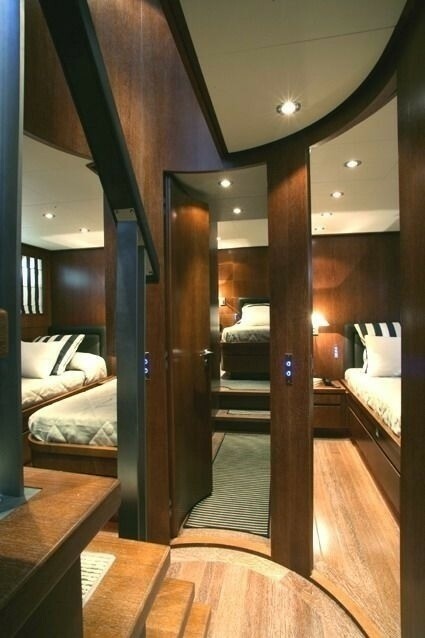 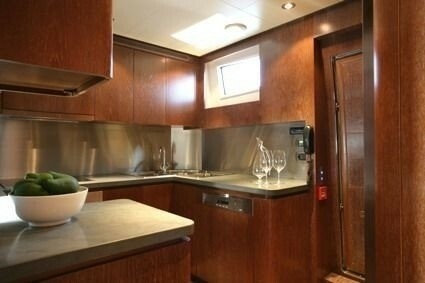 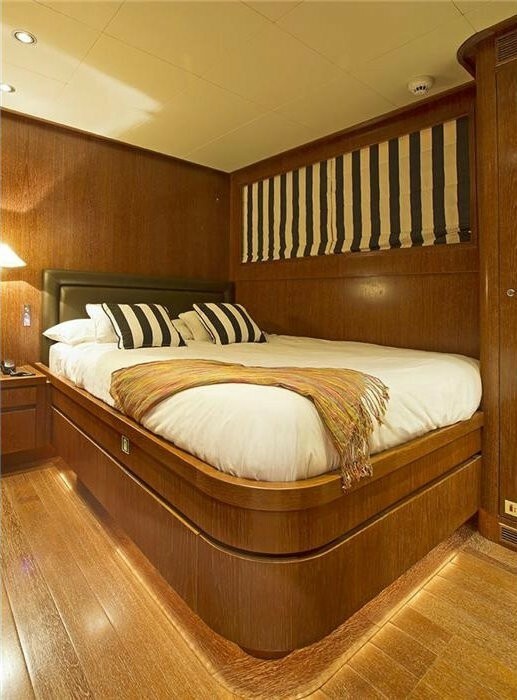 The spacious master cabin with ensuite bathroom stretches full beam of the boat. 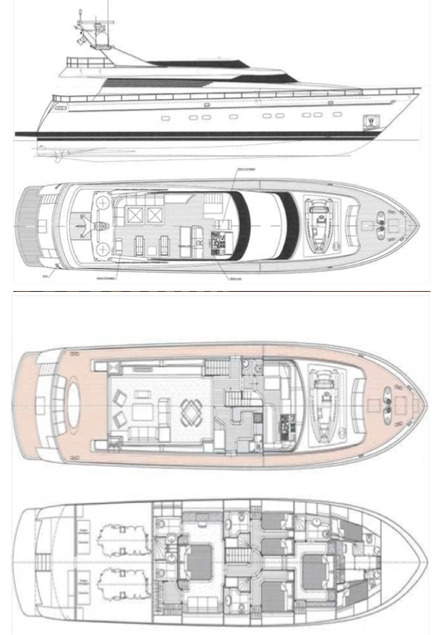 There are two further double cabin with the VIP cabin being the larger of the two. There is also one twin cabin fitted with a pullman berth most suitable for a child. 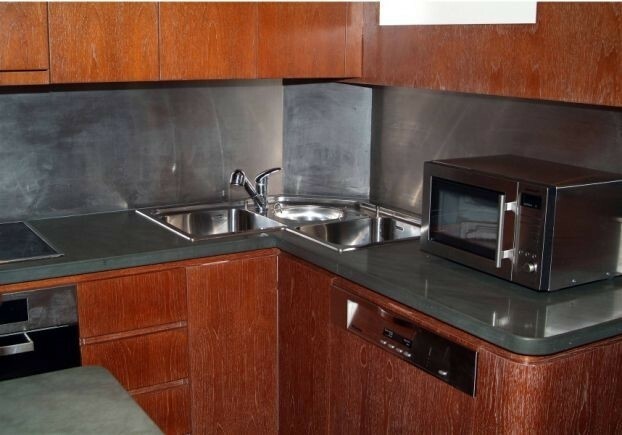 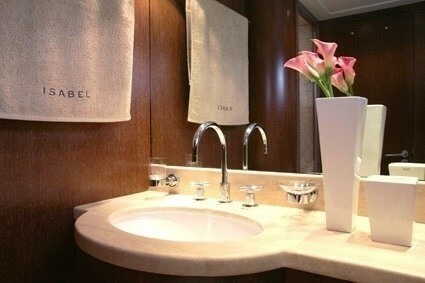 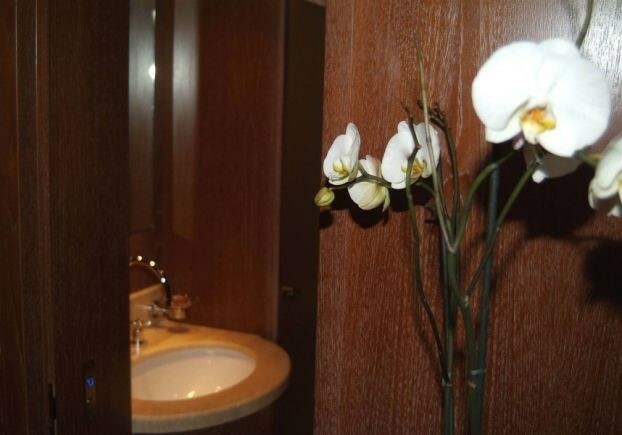 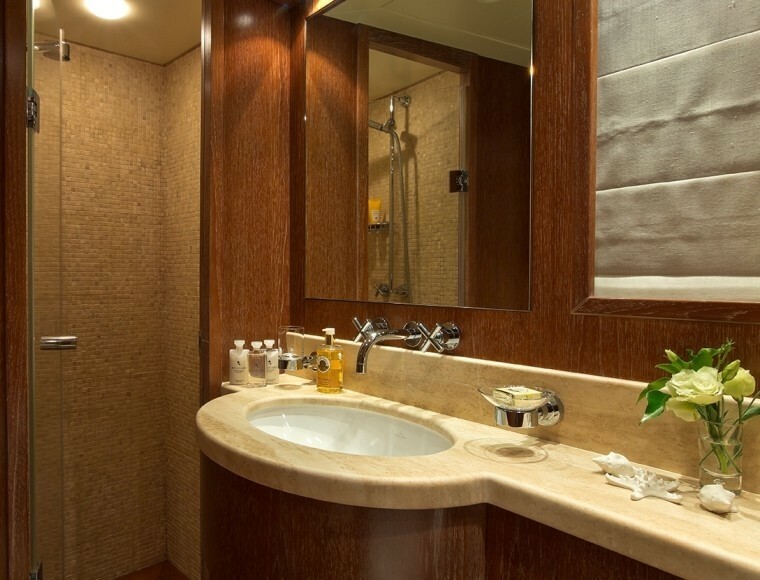 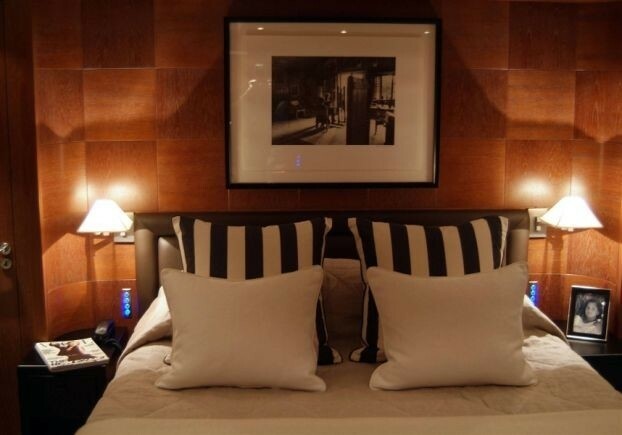 All cabins are well equipped with modern ensuite facilities. 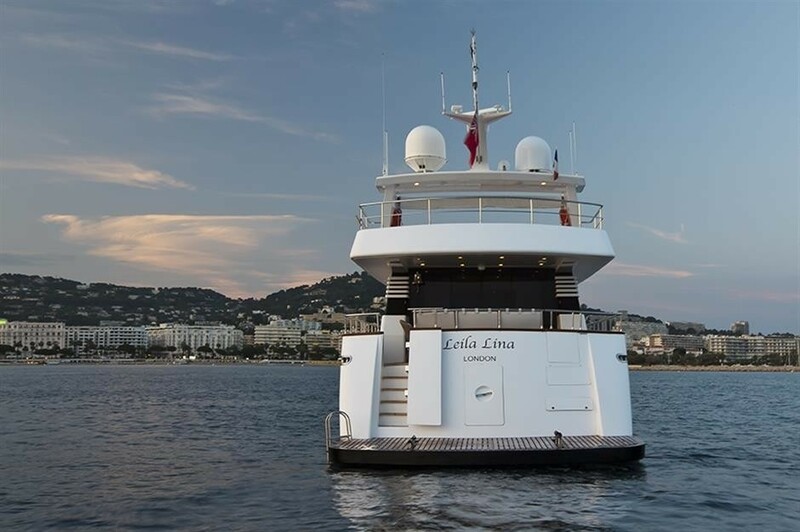 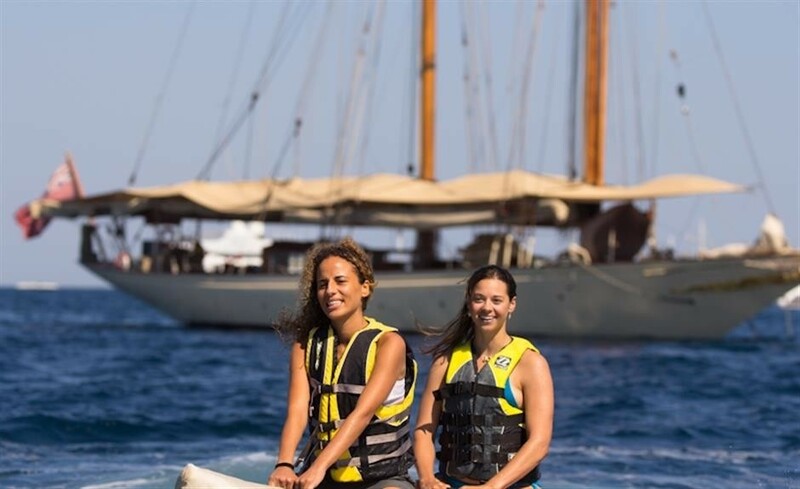 Luxury Motor Yacht LEILA LINA (ex Isabel) is equipped with a range of tenders and toys including a Zodiac 4.50m w/50hp outboard engine, 1 x Donut, 1 x waterskis, 3 person banana, 1 wake board, Sea bob, and snorkelling equipment. 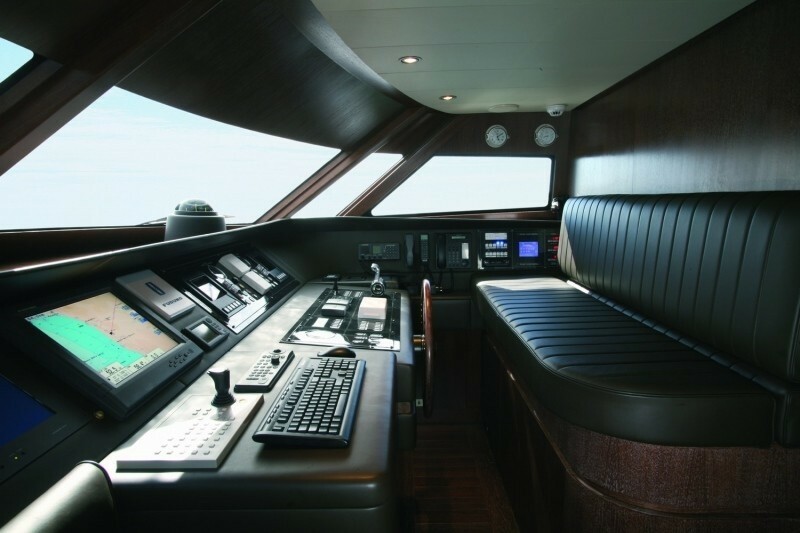 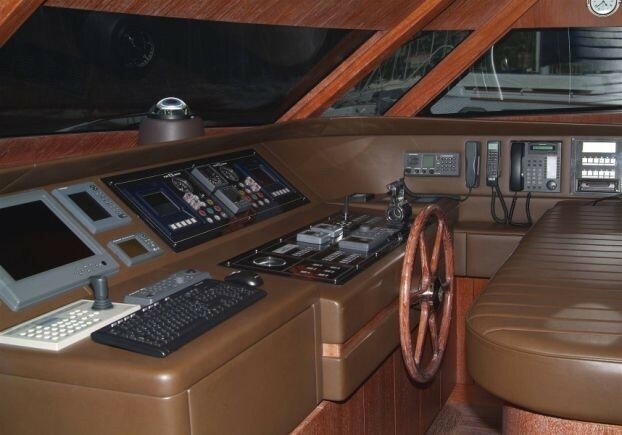 Onboard Communications include: Satellite Mini M TT3064-A telephone and fax, GSM telephone, French 3G internet connection with router, WII games consul in saloon.